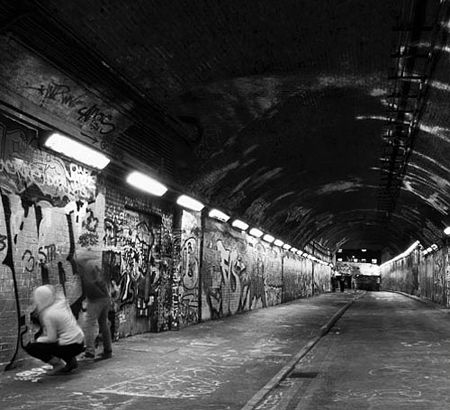 Next Friday 4th sees the famous Leake Street Tunnel transform once again. Total Rewall has 32 photographers who will be posting up giant photographs on the walls of the space. Each image represents the individual photographer’s concept of walls and surfaces of the capital that are out-of-bounds to street artists, graffiti writers and creative types of every calibre. The photographs will become canvasses, and an open invitation is extended to everyone who feels they would like to contribute to the project by stencilling, spraying or drawing on them in a way that adds to or changes the original image. You can find out more info on TR’s website.